My first year teaching, I desperately wanted to win the Southern Nevada Council for the Social Studies New Teacher of the Year Award. I didn’t get nominated, and until 2017 there haven’t been any teaching awards available where I happened to be teaching. Instead, I won trips to take study tours to Turkey, Germany, United Arab Emirates, and to Jordan. Those trips transformed the way I saw the world and allowed me to bring increased diversity and cultural awareness to my classroom. I am incredibly grateful for each of those experiences. I've written many times about the joys and frustrations I've felt as an educator. Today, however, was a beautiful, emotional day and the perfect capstone to my teaching career. 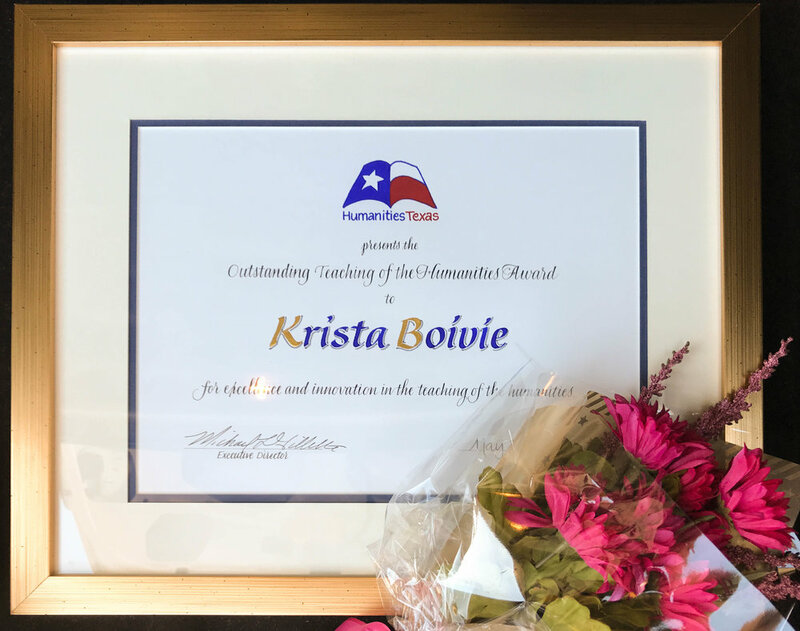 I was presented with the 2018 Texas Humanities Teacher of the Year Award. 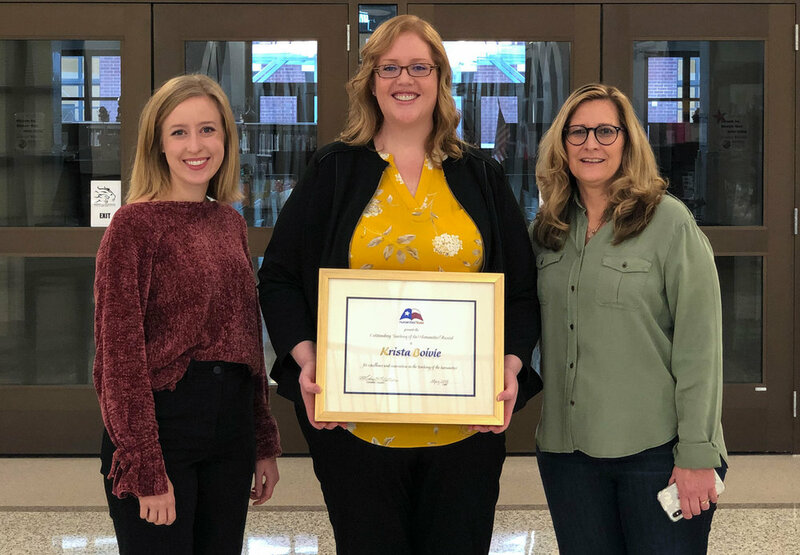 The award is given by the Texas Affiliate of the National Endowment for the Humanities, and they recognize 15 outstanding teachers in the state. I found out I had won the award my last day of school in May and because I knew I was leaving teaching to return to graduate school, I wasn’t sure if I was still going to get the award. feeling the love from my students! I have always been uncomfortable with praise and recognition, and so I was both looking forward to and dreading today. During today’s presentation, Sam Moore, the representative from Texas Humanities, shared some of the reason why they had chosen me to be one of the winners this year. My principal also took the opportunity to say some lovely things. 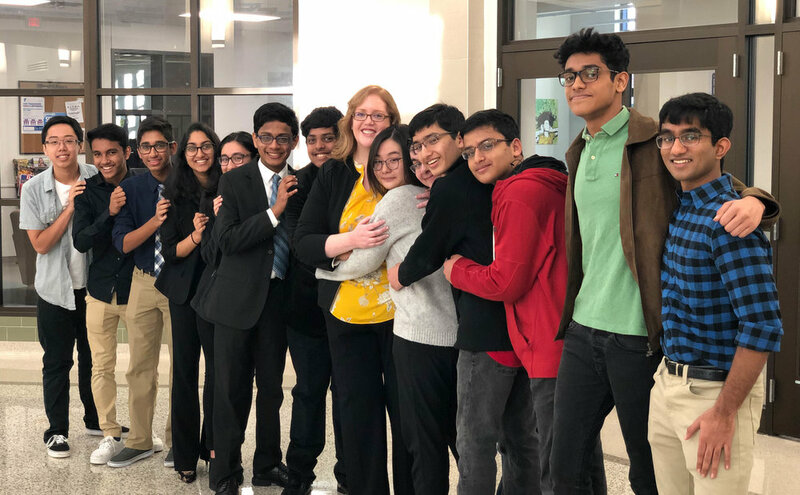 When I was given a chance to speak, as I had anticipated, I choked up because I felt an overwhelming amount of love, not only from my colleagues but also from a group of former students who had come to see the presentation. They came even though it was their day off school. The flowers were a lovely gift from one of my students. There were a few additional things I wanted to say and so I thought I would write them here since I was too emotional to say them this morning. Teaching in Frisco ISD elevated and refined my skills as an educator--I learned how to improve my collaboration and my pedagogy. The colleagues I’ve had the pleasure to teach with (both in Las Vegas and in Frisco) challenged, inspired and pushed me to be better on a daily basis. I would like to give a public thank you to all the students I've ever had the chance to teach. Working with you has been the greatest honor of my life, and I will always cherish you!